Don Okereke's Blog: Is this the Sudanese University Radicalising Nigerian Militants? 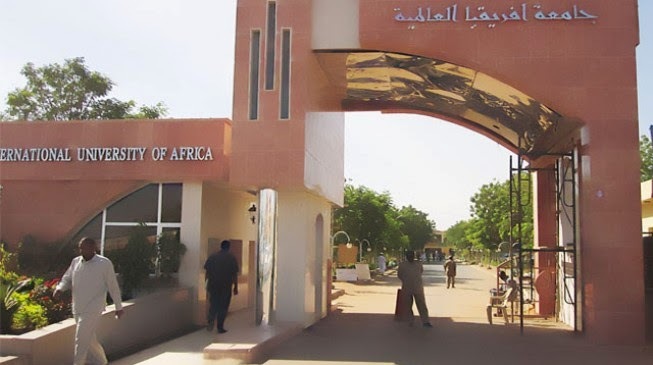 Is this the Sudanese University Radicalising Nigerian Militants? Security agencies are getting worried about the possible role of Sudanese universities in the radicalisation of Nigerians linked to Boko Haram. The most recent example is that of Aminu Sadiq Ogwuche, who allegedly masterminded the April 14 Nyanya bombing which claimed 75 lives. Ogwuche studied Arabic at Sudan’s International University of Africa, which has also trained over 1,000 Nigerians in the last 10 years. “Increasingly, many Nigerians are travelling to Sudan for education ─ some of them sponsored by northern state governments. There is a serious cause for worry,” a top security chief told TheCable. The official said there is yet no “concrete evidence” linking radicalism with the universities “but there are high possibilities that they are serving as recruitment points for al-Qaeda agents”. A case in point is that of “Mujahid Abu Nasir”, believed to be the pseudonym of a top commander of al-Qaeda-linked Ansaru ─ a Nigerian militant group that broke away from Boko Haram but still works closely with the Abubakar Shekau-led insurgents. Nasir told an American newspaper last year that he also attended the university in Khartoum where he ─ like Ogwuche ─ studied Arabic. In a very revealing interview, Nasir said he first attended an Islamic college in Kano, and then “for the zeal of seeking knowledge”, he went to Khartoum, Sudan, where “al-Qaeda propagators initiated me into the clique”. He said the recruiters took him to the southern deserts of Algeria and then to Mauritania for a “rigorous training course” by Al-Qaeda in the Islamic Maghreb (AQIM). AQIM has been linked to terror activities in Nigeria and Somalia. Nasir said he trained directly under Abu Zeid, a key commander of AQIM who was eventually killed by French forces in northern Mali last year. He said although five of them left Sudan for the AQIM training, two died in the process because of the rigour involved. Nasir returned to Nigeria in 2008, spent some time “underground” in Lagos before launching out with the militants who say they want to impose Islamic law on Nigeria. He also said there are thousands like him in Nigeria, some of whom he said were working in government, “some businessmen, some teachers”. The International University of Africa was founded as the Islamic African Centre in 1977 but was upgraded to a university in 1992. It has six faculties: Sharia, engineering, medicine, education, economics and political science, and arts. It is owned by the government of Sudan, a country once classified by the US as a sponsor of international terrorism. Osama bin Laden, the founder of al-Qaeda, was resident in the country for five years in the 1990s. He set up construction and trading companies there, and built bridges and roads all over the country. But the attraction of Sudan is not mainly religious ─ according to a father whose son is also studying in that country. The annual tuition fee is $400 for economics and political science, and sharia; $500 for education and arts; $2500 for engineering; and $5000 for medicine.